Roth's1 longtime alter ego, writer Nathan Zuckerman, has become fascinated with Seymour "Swede" Levov. Levov was a childhood acquaintance, an older boy who was a local hero. In Jewish pre-war Newark, Levov appeared to transcend their race and accomplish an American heroism that eluded the rest of the community. Nicknamed "Swede" for his anomalous blond hair and blue eyes, Levov is a football, basketball and baseball star athlete, and son of a Newark glove magnate. The novel starts with Zuckerman's first person narrative of his encounters with the "Swede", and the broad details of Levov's adult life are revealed. The direct encounters with Levov in the framing narrative reveal what appears to be bland American perfection. A high school sports hero, Levov joins the war effort and is elevated to hero without being deployed. He marries Miss New Jersey, 1949 (Irish-Catholic Dawn Dwyer) and inherits his father's glove empire after genuine effort. He moves out of the city to a century stone farmhouse in an upper-middle-class WASP rural bedroom community. In the 1980s, Zuckerman encounters Levov briefly, and learns that he has remarried and has young sons. Then in the 1990s, Levov mysteriously reaches out to Zuckerman, seeming to want to relate a story. They meet at a restaurant, but Levov talks mostly about his sons and about the turmoil of the 1967 Newark Riots2. Zuckerman doesn't probe, and concludes that Levov has had the sort of life one might predict. His excellence and profound American alignment have provided a frictionless life, not without effort, but without tumult. The framing narrative ends at Zuckerman's 45th high school reunion. Levov's younger brother Jerry, a childhood friend of Zuckerman, reveals the story that carries the second narrative. In 1968, Levov's daughter Merry appears to have planted a bomb in her hometown which kills a man, presumably to protest the war in Vietnam. She is only 16 at the time, and she goes underground, never to reemerge. Zuckerman reels. Here is, he assumes, the story Levov wanted to relate, but could not. The frictionless life was upended; truly, it disintegrates in the late 1960s and early 1970s. With the "facts" laid before the reader, along with some statement of Zuckerman's fascination, we descend into a yet deeper fiction — Zuckerman's imagining of a specific period of Levov's life. With themes and ideas explicit and the blurring of "fact" and fiction made plain in the frame narrative, Zuckerman disappears from view, never to return. This story is laid out in the third person subjective, deeply from Levov's perspective, but with Zuckerman's intents. This narrative runs roughly from the Newark Riots in 1967 to 1972 and the Watergate Hearings, with glances backwards to Merry's childhood and Levov's courtship of Dawn. As readers, we know this story is Zuckerman's attempt to rend sense from what he has assembled of Levov's life, but this indirection doesn't deflate the immediacy of the portrait. While specific to his circumstance, and punctuated by astonishing extreme, this is a surprisingly broad portrait of American undoing. In the midst of riot, social upheaval, integration and disintegration, is Seymour Levov's personal bomb: Something insensibly abrupt, permanently unaccountable. Roth is ruthless with Levov, and with the reader, and I admit that I spent perhaps too much of my reading awed by his daring. He builds his story around an unbelievable act, and offers us both believability and scope, but never sedates us with accountability. Causality and reason are toyed with: were they too liberal as parents? was Merry brainwashed? her debilitating stutter? or more subtle psychic poisoning of the violence and disorder of the time? Zuckerman/Roth are building a fictional reality here, and cannot allow explication here. To successfully account for Merry's choices would be farce, but Levov is human and must try. Roth is generous, he permits Levov a partial reconstruction: another marriage, other children — though we only know of Levov's late life from the framing narrative. The story ends with a sort of washing away of the surfaces of lives, a lengthy Thanksgiving scene where many lives are revealed as veneer over disorder. It is an ending that opens out, life continues for all, with a chance for renewal but never for genuine escape. 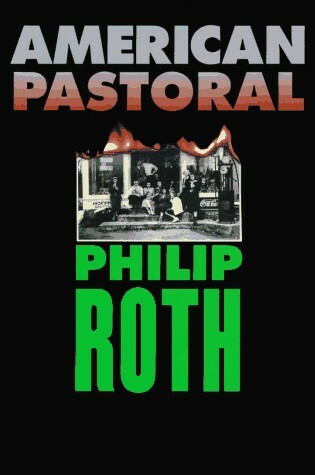 Roth challenges, and indeed I found this a challenging book. At times slow and contemplative, but punctuated with real and imagined violence and disorder. He leaves you clamouring for a handle on both the landscape and the circumstance. There is so much here, so much detail, so much history, so many complicated relationships, so much ambivalence and tenderness, bound together with a hopeful confusion, and an almost unbearable reality seems to emerge from the confusion. Unbearable, perhaps, but generous and rewarding. When Roth/Zuckerman's gaze settles on the descent of Levov and Merry's father/daughter relationship, I started to wonder if the novel was a poor choice for a generally anxious father of a very young daughter. Later, I wondered if maybe it should be required reading for anxious new fathers of girls. In the end, it is a nonsense question — this sort of reading can challenge and open you, or beat you down into a dark and angry space, or perhaps a dozen other outcomes all hinged on the reader. Such a work is a latent energy, and reviewing it is like reviewing kerosene. There is power here, but figure out quickly how to handle it, or set it aside. 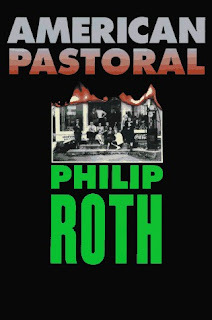 I last (and first) reviewed Roth in Everyman, a much shorter, and less punishing work. Newark plays a fairly major role in the novel, and the sensible/senseless Newark riots are a sometimes explicit counterpoint to the sensible/senseless of Merry.